The title of the first issue is "The Way of the Weird" and it certainly lives up to that description. 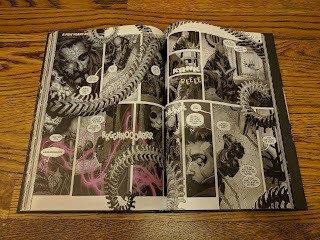 After an opening page that brings us up to speed on Doctor Strange's history against a backdrop of classic Doctor Strange panels, we're thrown headlong into the crazy, organized chaos that is Bachalo's pencils (along with equally crazy words from Aaron) of a battle taking place on the ectoplasmic plane in a young boy's soulscape while Strange levitates in meditation nearby. After those introductory heroics, Strange observes odd activity all over the city as he makes his way back to his Sanctum Sanctorum. Odd activity taking place on another plane, unseen by the common man, but seen by one such as the Sorcerer Supreme. 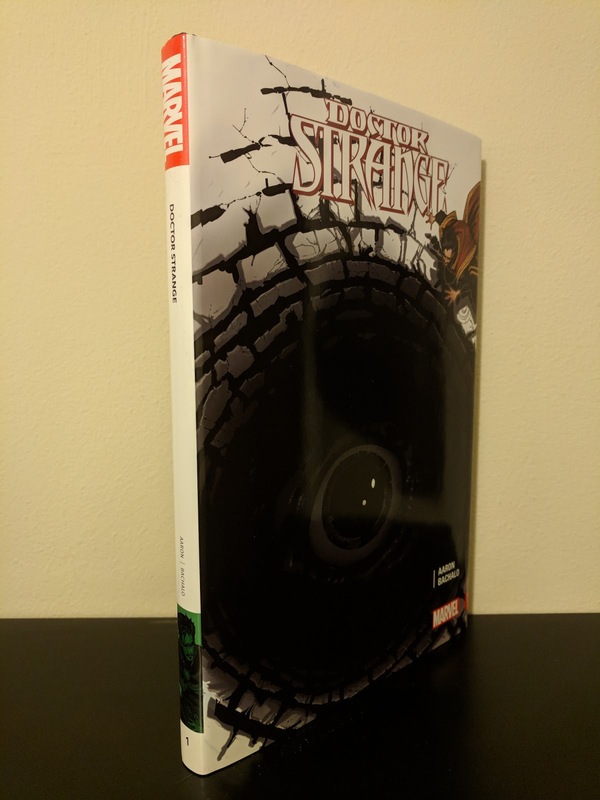 After consulting with the likes of Doctor Voodoo, Scarlet Witch, and Shaman, Strange comes to the conclusion that something is killing the world's magic, which caused the disruptions he had observed. 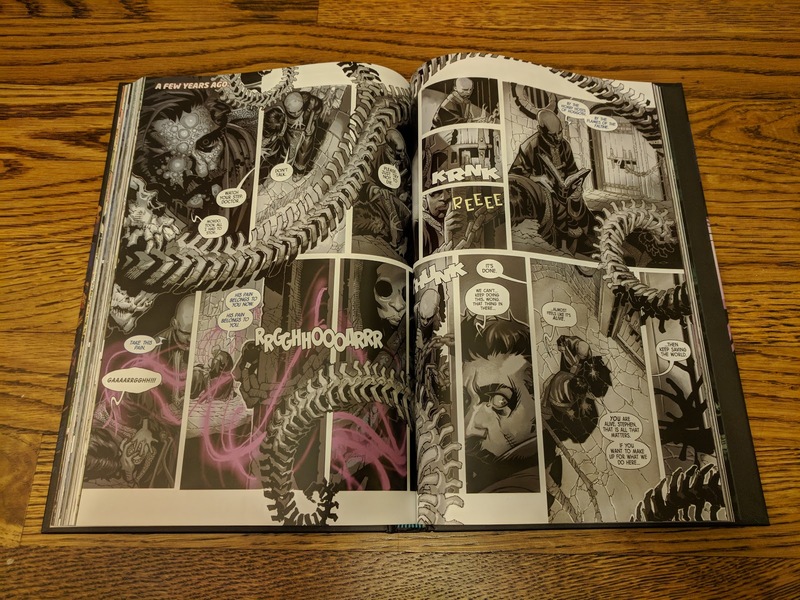 The story unfolds as Stephen learns that the war on magic is being led by the Empirikul, a science-based cult that believes magic is an abomination and must be cleansed from the multiverse. 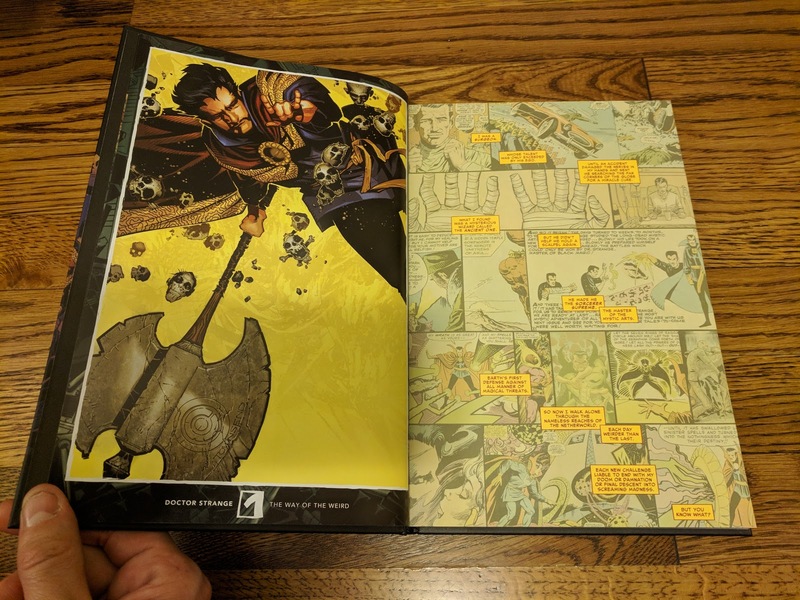 In order to save magic and the world as we know it, Doctor Strange must somehow battle the Empirikul while scouring the Earth for mystical artifacts and the last bits of magic that inhabit them. 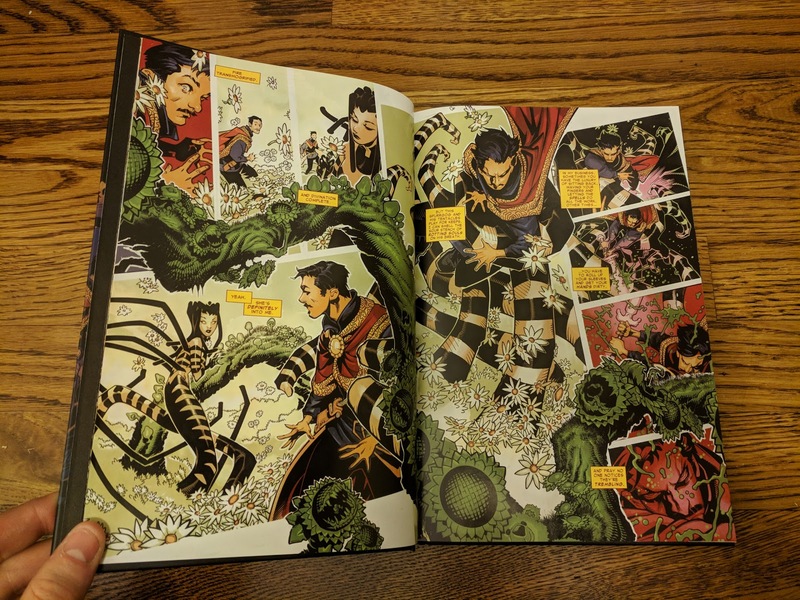 Aaron introduces and expands upon a few things in Doctor Strange's world. The largest of which is the concept that all magic comes at a cost to those using it (the greater the spell, the greater the cost - generally some sort of physical pain). 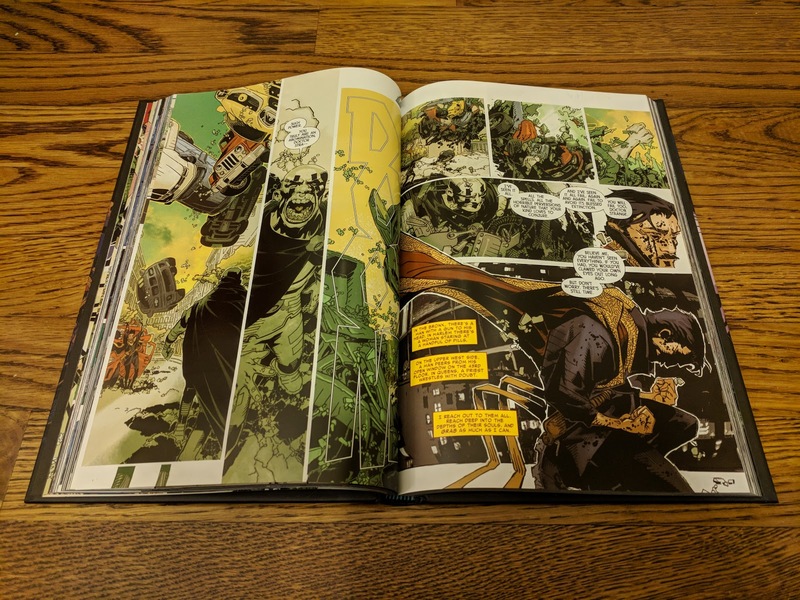 This idea actually carries through the story in this collection and into the second half of Aaron and Bachalo's run (if this has been explored in the pages of Doctor Strange previously, I haven't come across it). He also shows Stephen wearing his Cloak of Levitation as a scarf while out in public in order to be less conspicuous. A small detail for sure, but one that I really liked. 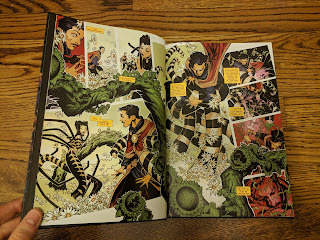 Long time Doctor Strange sidekick Wong experiences some development as well: no longer just a man-servant/butler, but also a co-conspirator in Strange's fight against harmful mystical sources, even going so far as to take certain matters into his own hands and making decisions that Stephen would not approve of. Then there's Zelda Stanton, and Aaron/Bachalo creation who is a librarian by trade and who seeks out Doctor Strange's help only to be swept up in the middle of the Empirikul's impending war on magic. 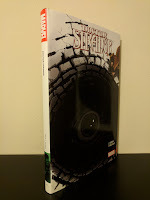 Aaron and Bachalo's run on Doctor Strange spanned twenty issues, an annual, and The Last Days of Magic one shot. 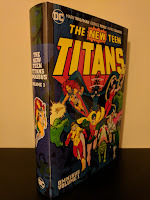 This oversize hardcover edition includes exactly half of the run and the rest (#11-20, Annual #1) should be collected in an as-of-yet-unsolicited second volume. 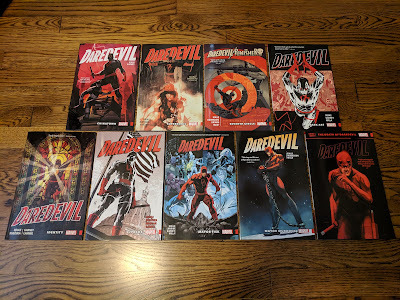 I personally hope that Marvel releases an omnibus for this run one day. If that should happen, I'll gladly trade up. If not though, this is a beautiful collection with a nice full color, wrap-around cover, a variant cover gallery, a Chris Bachalo sketchbook, and pencils and inks from Kevin Nowlan's pages from the end of the first issue. 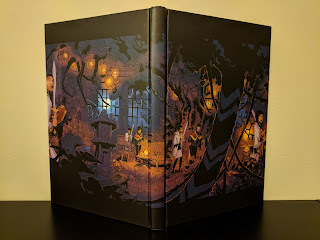 This tale is a lot of fun and doubles as a great starting point for anyone with little to no familiarity with Doctor Strange as well as a great modern story for long time fans. 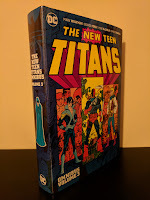 It certainly kick-started my interest in the character and opened my eyes to classic Strange runs that came before it (specifially Lee/Ditko, Stern). And for that I am thankful.